The CAP Team gets funky. WORKING FOR DOWNTOWN KAMLOOPS means that we are representatives and ambassadors for Kamloops’ beautiful city centre. 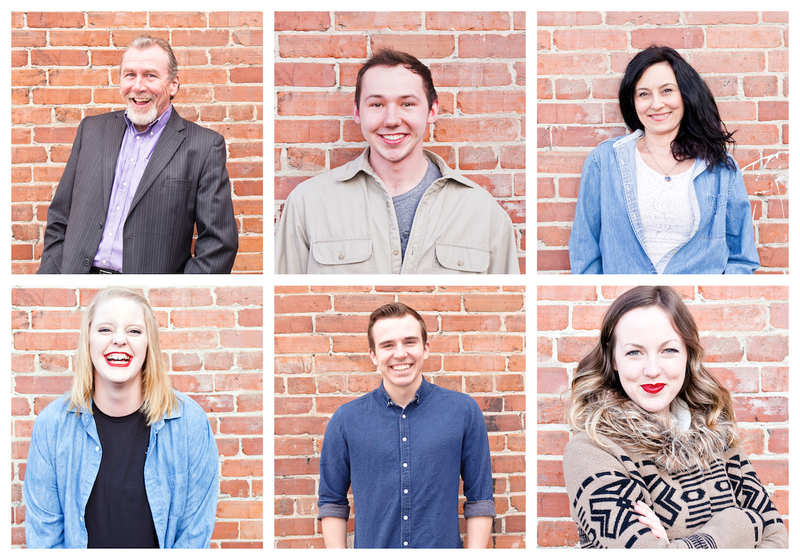 We are always raving about what we love about Downtown Kamloops and the team is constantly working to make your next experience better than the last. It’s easy to come into work in the morning when you love what you do, it’s even better when you work in Downtown Kamloops. Downtown is great for an evening out! With so much variety in the eateries and local businesses, your new favorite business is just waiting with open doors and arms! While Downtown Kamloops means many things to many people, to me Downtown represents ‘Community’. We have a strong business community, a confident developer community, an intrigued tourism community, and a sustained visitor community. Within each community there are people; lots of people. Relationships created by these people result in collaboration and the generation of a vibrant, diverse and exciting Downtown. There’s something for everyone in Downtown Kamloops! From retail shopping and cafes, to fitness facilities and public parks, you’ll surely be able to find something you enjoy! I love Downtown because of the personal connection I feel with the business owners where I shop and use services. They go the extra mile and take time to get to know me. It shows they care about their customers and their brand. Also love the energy when I’m out strolling the neighbourhood. It feels comfortable and safe too. I love spending time with friends and family downtown! There are so many great and unique options in close walking distance. I’m in love and obsessed with all the unique beauty that Downtown has! We have everything from an outdoor art gallery, heritage buildings to beautiful landscaping, greenery and parks! Almost everything downtown is Instagram worthy! If you’d like to see more information about any of the previously mentioned, give us a call or check out www.downtownkamloops.com. Share your favourite thing with us on social media using #downtownkamloops. 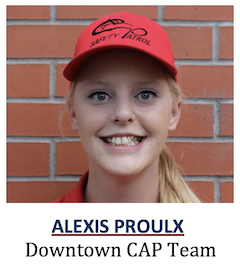 This article was written by Alexis Proulx, Customer Care and Patrol (CAP) Team Supervisor and Back Alley Art Gallery Supervisor. Reach CAP at 250-572-3008/3009. Email capteam@downtownkamloops.com. Follow on Facebook, Instagram (Downtownkamloops) and Twitter (@downtownkamloops).